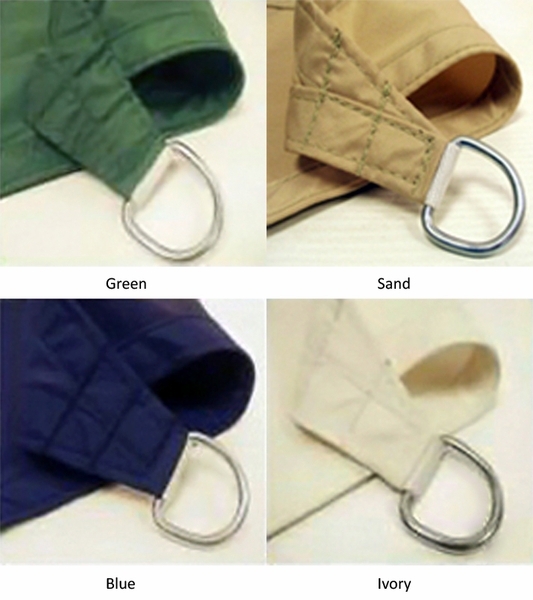 Breathable square shaped shade sails available in several different sizes from 11 feet, 8 inches and 17 feet, 7 inches. 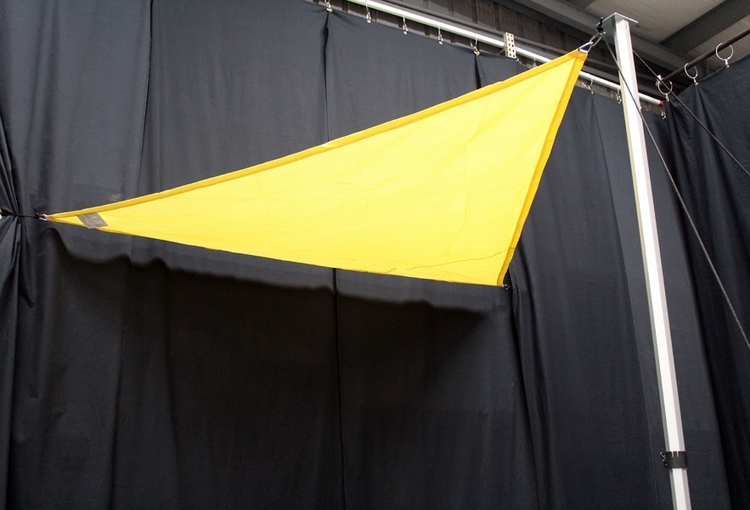 These square shade sails are the professional models with a thicker knitted fabric. Square shaped sails have one more eye-pad and one more snap hook than do the triangular shade sails. 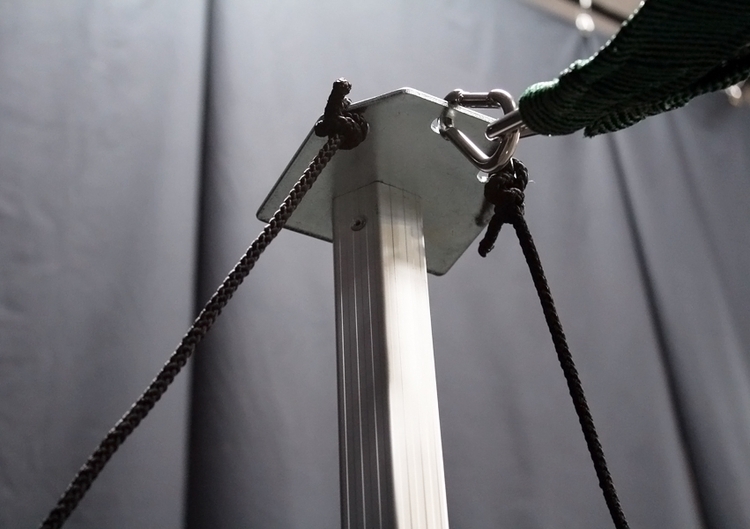 The square shade sails provide a temporary movable source of shade or can be more permanently mounted when there you are looking to cover a specific area with no intention of moving the shade sail. These square shaped shade sails are particularly useful for covering over a deck or outdoor patio area. 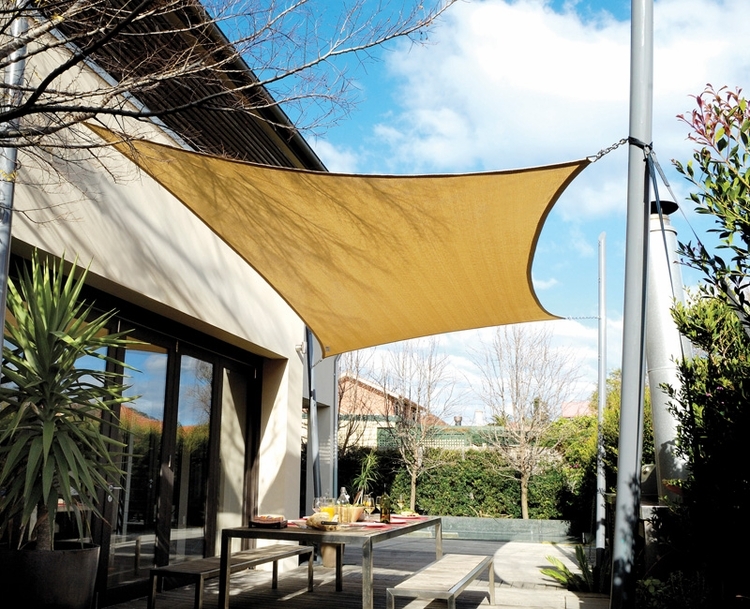 The breathable fabrics used in these square shade sails are engineered to pull up the cool air under the fabric and allow the heated air to escape out through the fabric top thereby keeping the area under the Coolaroo fabric up to 32 degrees cooler than the heated air above it. These well-designed, attention-grabbing, multipurpose shade sails can provide additional shade whenever and wherever you need that shade on a temporary or permanent basis and do so at a lot lower cost than an outdoor canopy, retractable patio awning or gazebo.